A chair is a chair - right? Well actually no! 1. If you venue has a Chiavari chair then you have the “King of chairs”. 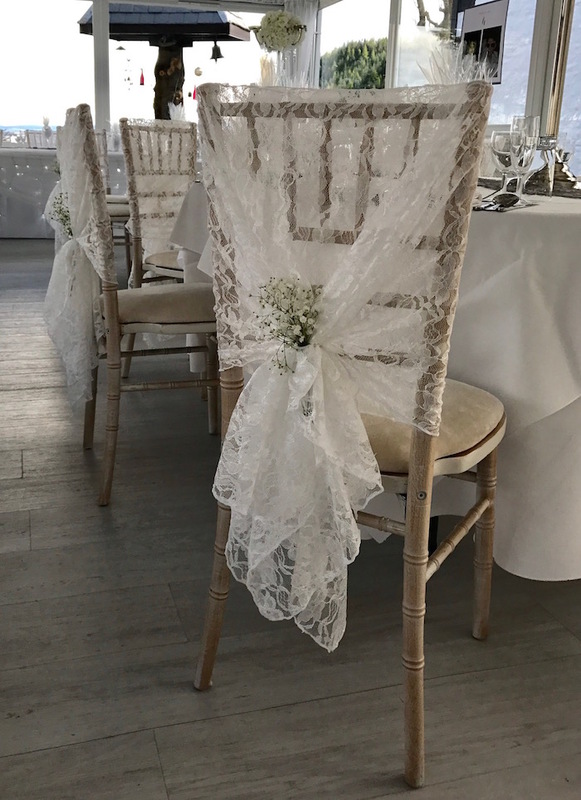 Some choose to keep the chair plain however why not add a splash of colour in the form of a sash in organza, satin or taffeta? Tied in many ways this can make your chair look even more amazing. 2. 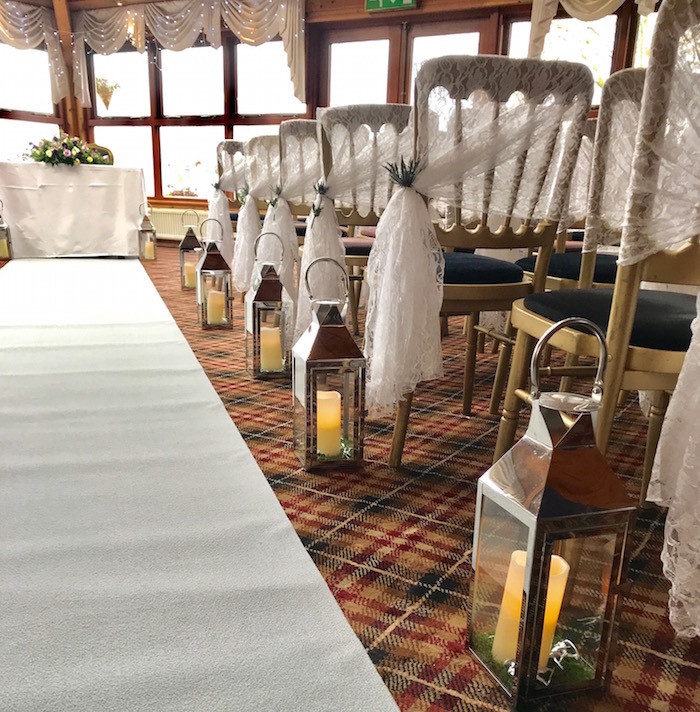 Keeping with the Chiavari chair, if you want to make things looking even more fabulous, why not turn up the volume and add a gorgeous organza or lace hood? Chair drapes are also becoming more popular. There are so many way to dress up this kind of chair. 3. 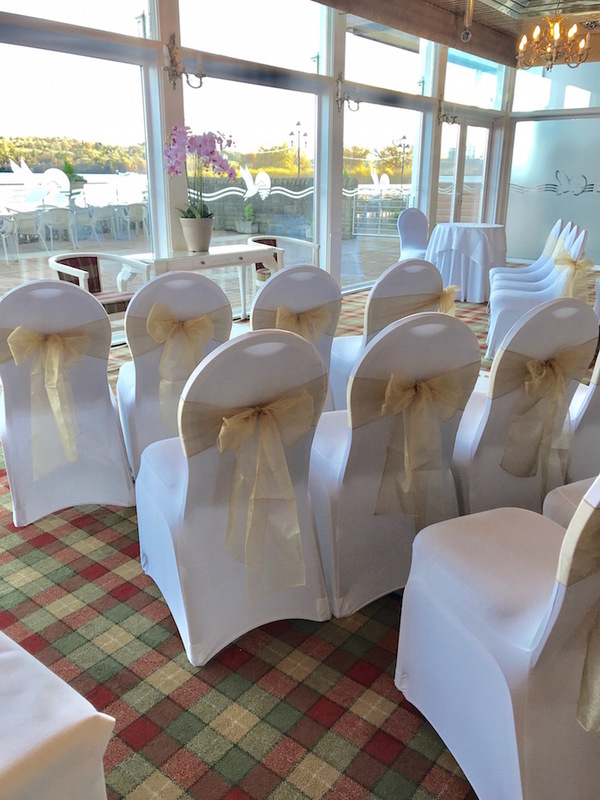 Cheltenham chairs are often mistaken as a Chiavari chair. They are similar but have a different bar along the top so a tied sash can slip down so things need to be styled slightly differently. Most are sprayed gold or silver and come with changeable padded seat pads. If uncovered they are perfect for stacking and moving quickly (should they be outside and it rains). 4. Love them or loathe them sculpted covers now come in all different colours are are perhaps the most popular style of chair cover. Inexpensive, easy to put on and will fit most chairs. Perfect for the neat freaks amongst us. (ps, lots of public buildings use a theatre style chair or folding chair. Sculpted chair covers work perfectly well here). 5. The staple hand ironed chair cover. Perfect yes? Sometimes no! When my business first started even I wasn’t aware of the amount of different kinds of chairs there were in circulation. Turning up with a “standard” hand ironed chair cover to find that the chair was twice the size!! Queue having lots of different kinds of covers for various venues. 6. Not a fan of a chair cover? Why not then add a coloured seat pad? Yes we know, once a bottom is sat on the chair you may not see the pad however it just adds a splash of colour. Our most popular colour choice is white or ivory however we can have them made especially with over twenty colours to choose from. 7. Black or coloured chair covers. One word - WOW! Having been an honoured guest at my lovely friends Paul and Jim’s wedding, dark blue damask chair covers dressed their venues chairs. Nothing screams elegance more than a rich, luxurious coloured chair cover. No doubt you’ll have your own thoughts on what works best for you and your own wedding. If viewing a booking pre booking a venue ask to see the chairs - you’ll now be an expert in all things seated.